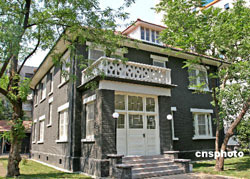 To the south of Nanjing University is a renovated European-style residence that once belonged to a "good Nazi", the "Living Buddha of Nanjing", the "Oskar Schindler of China". John Rabe, a name forgotten and buried in history for over seven decades after the shocking bloodshed in 1937, is set to regain a well-deserved place in history when a Sino-German biopic hit Chinese screens yesterday. I watched the film last Wednesday at a private viewing organized by the prominent Chinese film company Huayi Bros. On the same day, the highly-anticipated "City of Life and Death", a film by Lu Chuan that was four years in the making, premiered across China. In this years' film season, two films will clash on the same subject, one, moreover, that Chinese people can never forget and mourn every year. The subject matter is one that Japanese right-wingers try their best to suppress, a source of continuing disputes between China and Japan, and the main reason why the Chinese government always protests when Japanese prime ministers visit the Yasukuni shrine for Japan's war dead. The six-week long Nanjing massacre, conducted by Japanese troops who entered Nanjing on Dec. 13, 1937, killed over 300,000 Chinese people. 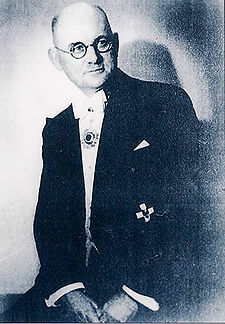 In September 2006, at a reception to celebrate the box office success of the Chinese blockbuster "The Banquet", Huayi Bros President Wang Zhonglei was approached by two young German filmmakers, who asked if he would be willing to collaborate on a film about John Rabe. Wang told us after the private viewing last Wednesday that at the time he hesitated because he didn't know who John Rabe was. But Huayi Bros eventually invested money in the film and in particular helped produce the detailed and authentic sets and costumes. Wang said he now feels it was his responsibility as a Chinese person to support the film's production. But at the outset both he and German director Florian Gallenberger felt it was just a great story for a movie. On June 18, French film icon Isabelle Huppert talked to Chinese movie fans at the China Film Archive in downtown Beijing.